Integration and maintenance of plant data from the sensor up to plant applications can be messy and time-consuming. 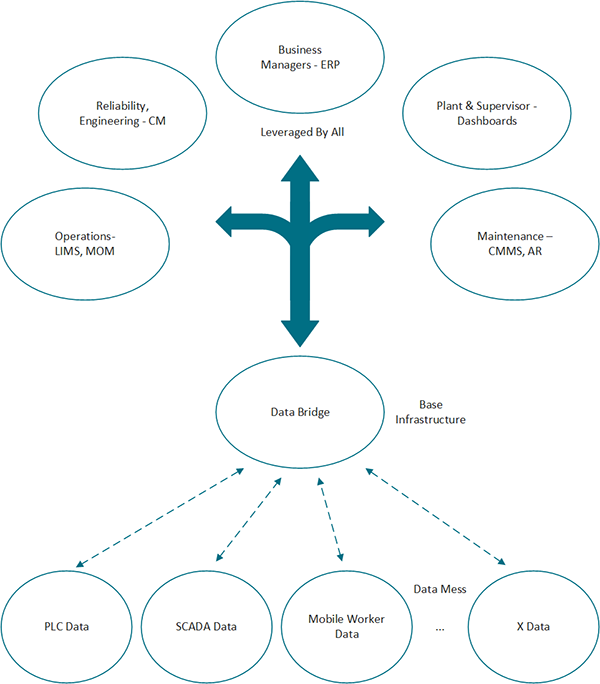 The Industrial Data Bridge connects all of the plant floor including PLC, SCADA, condition monitoring and mobile data in a common repository that can be used to feed all client applications and users. Put it in once and use it for all the operations management applications in the plant. Abstraction of application information from the communication required to connect to the sensor or control system. Changes in either maintain the connection.